To increase efforts in providing environmentally friendly power sources, Vestas has expanded its wind turbine testing capabilities. The Danish-based company recently purchased its second Hand-Held Sound Analyzer (Type 2270) from Brüel & Kjær, which contains real-time analyzers, with 1/1 and 1/3-octave. These are supported by Fast Fourier Transformation (FFT) analysis for tone identification and - most importantly - wave file recording. Wave files allow superfluous noise, such as vehicles or wildlife, to be removed from the measurement results and allow Vestas to take raw data back to the laboratory for further analysis. The 2270 is used to perform quick, onsite evaluations and make recordings for more in-depth analysis, back in the office. One of the specific tasks is to measure in the far field, 500-1000 metres behind the wind-turbine, as customers do for control purposes, in Germany. Vestas also uses analysis equipment from Brüel & Kjær, including Lan-XI and PULSE Labshop tools to obtain multichannel vibration measurements - and PULSE Reflex software to assess the data. The 2270 is an ideal lightweight tool for carrying out tests in the field and, as its raw files are compatible with the PULSE Reflex platform, it makes feeding the data from one system to another seamless. 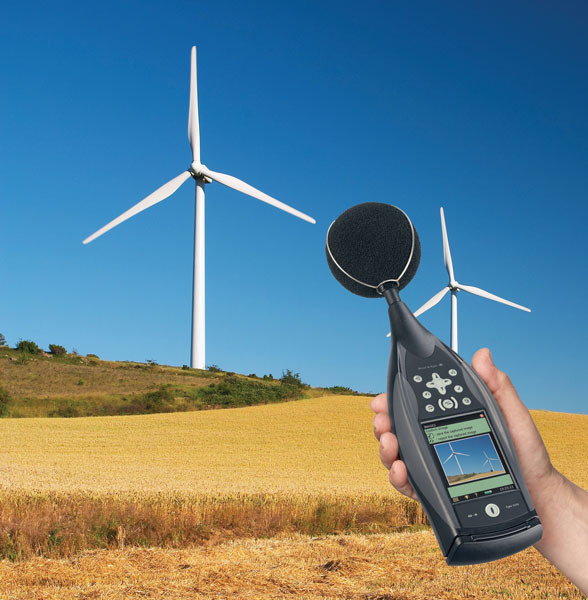 The 2270 system is also equipped with sound intensity probe and sound evaluation software, which provide onsite sound power determination and asses noise emission patterns. Vestas uses these tools for evaluating sound sources inside the wind turbine nacelle, in the field and in their advanced durability laboratory. The ability to measure sound power and sound emission patterns, in conditions that Vestas have set up themselves, provides valuable information about the major contributors to the noise later emitted by the entire wind-turbine.